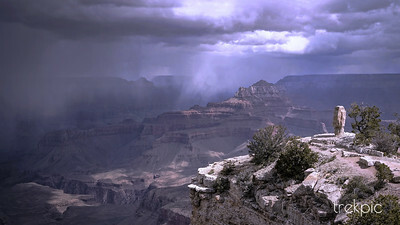 What was it like that windy, snowy morning when we photographed this storm sweeping over the Grand Canyon? How does it feel when the leopard you photographed walks up to your open vehicle and stares into your eyes or when you are so close that you can see the evening's rain bounce off of the back of a jumping lion? Go to our Venture Moola photo blog at our sister web site ReadJanus.com. 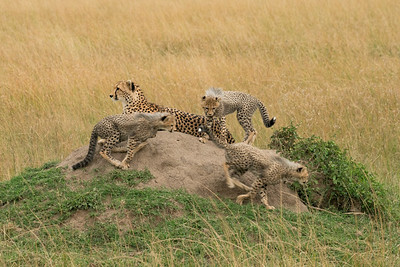 How do you prepare for an African Safari? And what will you experience once you get there? Lions and elephants and rhino and giraffes and much much more. Interesting people and exotic places. Join us on a trip of a lifetime. Take your first safari without leaving your home. Check out this introduction to our photo blog's Safari Series and sign up to get email notifications as we release new blogs in the Series. Find all of our Venture Moola photo blogs at our ReadJanus sister site. How do you end up in the right place at the right time? What does it feel like when a wolf emerges from the woods and starts walking toward the unsuspecting elk you are photographing? To find out check out our Wolf in the Wild blog entry at our Venture Moola blog. Click here to read the entry at ReadJanus.com. What is it like to search through Yellowstone National Park on a snowy day for animals with the world's worst wildlife guide? Find out by reading our Venture Moola blog entry entitled Magic Mike and the Otter. Click here to read the entry at our sister web site ReadJanus.com. Looking through a lens can help you discover more about your environment. 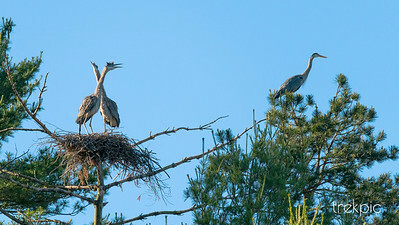 Learn how the camera opened my eyes to what I was really seeing, a Great Blue Heron colony in an unlikely place. Click here to read the entry on our sister web site at ReadJanus.com. It was places like this at Yellowstone that ushered in the era of dinosaurs hundreds of millions of years ago after killing off most of earth's life. Check out the thermal wonders of Yellowstone National Park in this photo essay about the park and its predecessors at this link. Moose kill more people each year than bears. They are most dangerous when surprised which would not seem likely until you have one emerge from willow patch just feet away. Check out out our surprise encounter with a bull moose. Click here to read the Moose-a-boo entry on our sister web site at ReadJanus.com.